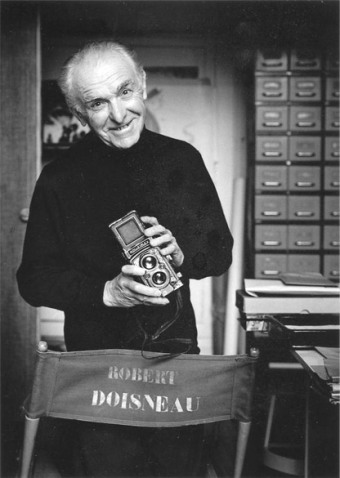 Robert Doisneau was born in 1922 in Gentilly, a suburb of Paris. After his undistinguished youth behind the macrame curtains of a conventional middle-class family, Robert is fifteen when he learns engraving and lithography at the Estienne School in Paris and starts designing labels for drug packaging. He becames a camera assistant at André Vigneau’s studio in 1931, where he discovers artistic outlets that will spur him on. The four years he spent working for the advertising department of Renault car maker, from where he was fired for repeated lateness, led him to the attractive position of independent photographer. World War II bursts out then, putting an end to his projects. Later, in the Parisian post-war euphoria, despite the fact that he daily deals with orders to make a living, he hoards the photos that will meet with great success, obstinately cruising where “there is nothing to see”, favoring furtive points, tiny pleasures lit by the ’ reflections of sunbeams on cities’ asphalt. When he died in April 1994, he left behind 450,000 negatives that tell an entertaining story of his time with a tender and observant eye, which must not hide the depth of his thought, his irreverent attitude toward power and authority, his relentlessly free-thinking mind.